An Egyptian rights center issued a report on Monday stating that Egypt has become the top country in the world in terms of the number of protests. The “Democracy Index” monthly report issued by International Center for Development states that there were 1345 protests in March compared to 864 protests in February. “This is an unprecedented number of protests that did not occur even during the January uprising as March witnessed an average of 1.8 demonstration every hour, 7.2 on a daily basis and 306 protests per week,” said the report. The reported added that more than 40 percent of Egyptians from diverse backgrounds contribute to protests, mostly citizens with no political affiliations. 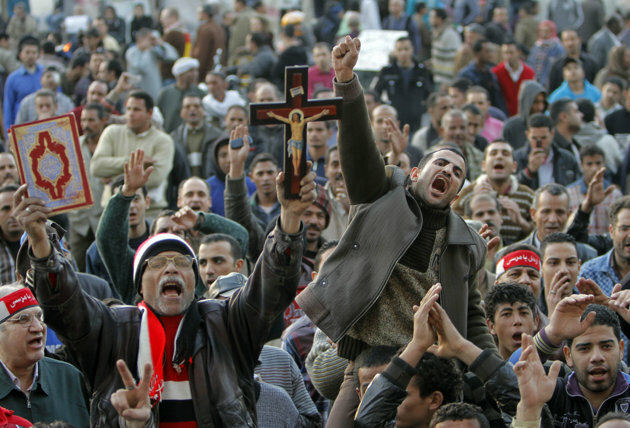 Violation of workers’ rights stood as the main reason behind protesting, whereas the fuel crisis caused 112 protests and 73 protests were against Egypt’s ruling authorities. Twenty-five protests were staged against the “Brotherhoodization” of state institutions and six protests called for civil disobedience. 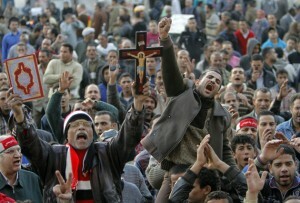 The report monitored that protests are growing in number in Upper Egypt and Bedouin governorates. “Violence in protests rose up by 25.41 percent,” the reported said, noting that cutting off roads is the second largest means of protest used during this month.